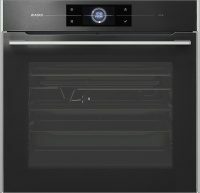 Elements by ASKO is a unique range that includes the ultimate home chef equipment. The new ovens are designed to be combined according to your demands and your choice of kitchen. You can place them in a row side-by-side or on top of each other, the decision is yours.